Rigged Dinosaurs Collection for Maya is a versatile set of 6 high quality, photo real models that will enhance detail and realism to any of your rendering projects. The model has a fully textured, detailed design that allows for close-up renders. Model rendered with V-Ray in 3ds Max 2012. Renders have no postprocessing. 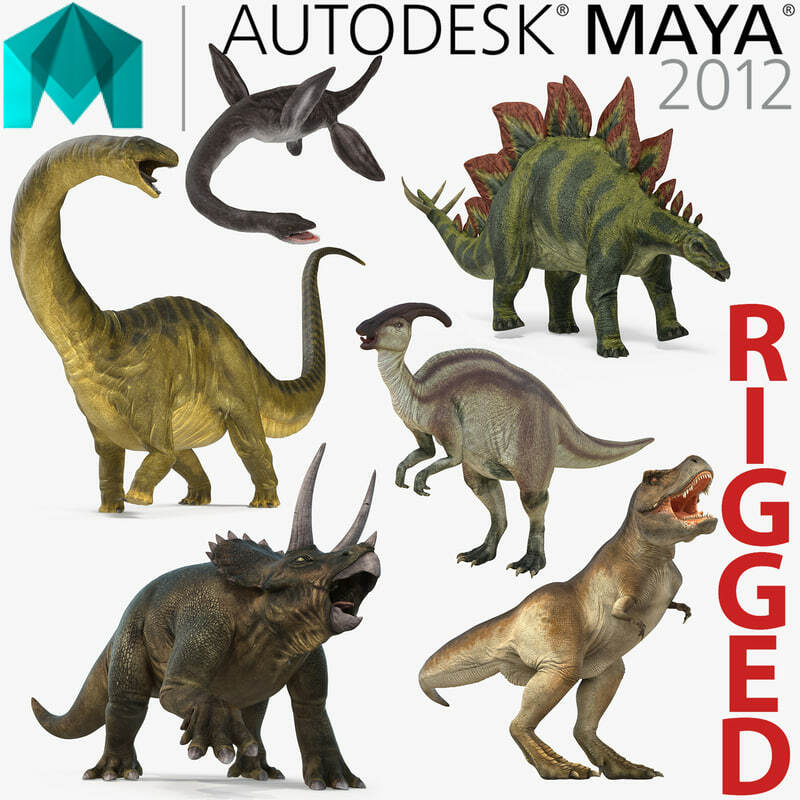 Dinosaurs fully rigged with bones and skin system in Maya 2012.